Popular historic sites such as East Side Gallery and Berlin Cathedral are in your itinerary. 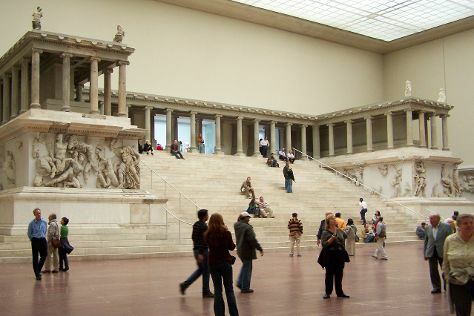 Let the collections at Pergamon Museum and Topography of Terror capture your imagination. The adventure continues: stroll through Zoo Berlin, steep yourself in history at Memorial of the Berlin Wall, pause for some photo ops at The Holocaust Memorial - Memorial to the Murdered Jews of Europe, and explore the historical opulence of Charlottenburg Palace. To find other places to visit, maps, ratings, and tourist information, you can read our Berlin travel website . If you are flying in from Iceland, the closest major airports are Berlin-Tegel Airport and Berlin-Schönefeld Airport. Finish up your sightseeing early on the 20th (Sat) so you can travel back home.